The class of drugs that is often used to mimic the effects of naturally-occurring endorphins in the body and which produce a similar effect to opiates are called opiate agonists. Opiate agonists interact with opioid receptor sites and produce an opiate effect causing drowsiness, relaxation, sedation and pain relief. Often times, these synthetic forms of opiates are used to reduce the cravings and withdrawal symptoms that those addicted to opiates will feel if they stop using the drug. 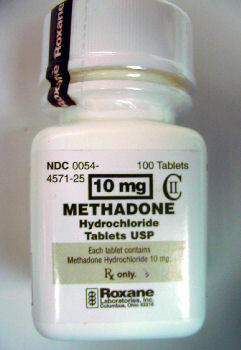 Opiate agonists, such as methadone, are often used to treat opiate addictions. Opiate agonists do not produce a high or euphoric feeling so they are not typically used to get high. 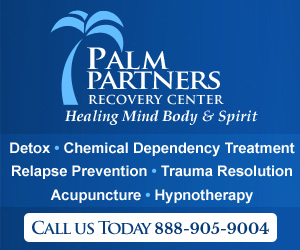 In fact, these medications are actually given to patients who are trying to stop using opiates such as heroin or Oxycontin in an effort to help control their cravings and reduce the chance of relapse occurring. Opiate agonists block the patient from feeling any effects of an opiate and are considered an optional way to reduce relapse, reduce cravings and help the recovering addict towards reaching their recovery goals. Many different opiate agonists exist and some are complete agonists, meaning they completely blog the opiate receptors while others are partial agonists. Methadone is one of the most widely used opiate agonists that is used to treat opiate addiction. This medication will reduce cravings that a patient has for heroin or other opiates and can help the patient to wean themselves off of a dangerous opiate drug. Other opiate agonists include LAAM which is much like methadone, and buprenorphine which is a partial opiate agonist. These drugs will contain naloxone or naltrexone. Suboxone, another opiate agonists is a mixture of buprenorphine and naloxone. Subutex is another medication that contains buprenorphine and is available by prescription. Both Subutex and Suboxone will eliminate the need for daily visits to the methadone clinic and come in time release capsules that: a) make it impossible for the patient to get high on the drug; and b) reduce cravings and make the recovering addict feel uncomfortable when opiates are used.